Under-18 (U18) Boys and Girls: Any athlete of 16 or 17 years on 31st December in the year of the competition. Under-20 (U20) Men and Women: Any athlete of 18 or 19 years on 31st December in the year of the competition. Master Men and Women: Any athlete who has reached his/her 35th birthday. Universal competition covers events in which men and women together without separate classification of results as well as relay or team events in which both men and women are included in the same teams. Competition under these Rules is divided into men’s, women’s and universal classifications. When a Mixed Competition is conducted outside the stadium or in one of the limited cases set out in Rule 147, separate men’s and women’s classification results should still be declared or otherwise indicated. When a universal event or competition is conducted a single classification result only shall be declared. An athlete shall be eligible to compete in men’s (or universal) competition if he is recognized as a male in law and is eligible to compete under the Rules and Regulations. An athlete shall be eligible to compete in women’s (or universal) competition if she is recognized as a female in law and is eligible to compete under the Rules and Regulations. An athlete who fails or refuses to comply with the applicable regulations shall not be eligible to compete. In all events, athletes must wear clothing which is clean, and designed and worn so as not to be objectionable. The clothing must be made of a material which is non-transparent even if wet. Athletes must not wear clothing which could impede the view of the Judges. Athletes’ vests should have the same colour on the front and back. Athletes may compete barefoot or with footwear on one or both feet. The purpose of shoes for competition is to give protection and stability to the feet and a firm grip on the ground. The sole and heel of the shoes shall be so constructed as to provide for the use of up to 11 spikes. Any number of spikes up to 11 may be used but the number of spike positions shall not exceed 11. That part of each spike which projects from the sole or the heel shall not exceed 9mm except in the High Jump and Javelin Throw, where it shall not exceed 12mm. The sole and/or heel may have grooves, ridges, indentations or protuberances, provided these features are constructed of the same or similar material to the basic sole itself. In the High Jump and Long Jump, the sole shall have a maximum thickness of 13mm and the heel in High Jump shall have a maximum thickness of 19mm. In all other events the sole and/or heel may be of any thickness. Every athlete shall be provided with two bibs which, during the competition, shall be worn visibly on the breast and back, except in the Jumping Events, where one bib may be worn on the breast or back only Either the athletes’ names or other suitable identification will be allowed instead of numbers on any or all of the bibs. If numbers are used, they shall correspond with the number allocated to the athlete on the start list or in the program. If track suits are worn during the competition, bibs shall be worn on the track suit in a similar manner. No athlete shall be allowed to take part in any competition without displaying the appropriate bib(s) and/or identification. These bibs must be worn as issued and may not be cut, folded or obscured in any way. In long distance events, the bibs may be perforated to assist the circulation of air, but the perforation must not be made on any of the lettering or numerals which appear on them. Where a Photo Finish System is in operation, the Organizers may require athletes to wear additional number identification of an adhesive type on the side of their shorts or lower body. In races including at least one bend, the direction of running and walking shall be left-hand inside. The lanes shall be numbered with the left-hand inside lane numbered 1. Where conditions permit and the track is properly surveyed, straight events can be conducted in the opposite direction, i.e. right-hand inside. At all International Competitions, except as noted below, the commands of the Starter shall be given in his own language, in English or in French. (a) In races up to and including 400m (including 4 × 200m, the Medley Relay as defined in Rule 170.1 and 4 × 400m), the commands shall be “On your marks” and “Set”. (b) In races longer than 400m (except 4 × 200m, the Medley Relay and 4 × 400m), the command shall be “On your marks”. (c) In any race when, under Rule 162.5, the Starter is not satisfied that all is ready for the start to proceed after the athletes are on their marks or he otherwise aborts the start, the command shall be “Stand up”. All races shall normally be started by the report of the Starter’s gun held upwards. There is no rule that enables to determine the time that elapses between the commands “On your marks” and “Set” on one hand, and on the other, between the command “Set” and the gun shot. The Starter shall let the athletes go once they are all motionless in the correct starting position. Which means that he may have, for certain starts, to fire the gun quite quickly, but on the other hand, he may also have to wait longer in order to make sure that they are all steady in their starting position. In races longer than 400m (except 4 × 200m, the Medley Relay and 4 × 400m), all starts shall be made from a standing position. After the “On your marks” command, an athlete shall approach the start line and assume a starting position behind the start line (completely within his allocated lane in races started in lanes). An athlete shall not touch any part of the ground with his hand or hands and/or the start line or the ground in front of it with his feet when on his mark. Once the Starter is satisfied that all athletes are steady in the correct starting position, the gun shall be fired. (c) after the command “On your marks” or “Set” disturbs other athletes in the race through sound, movement or otherwise, the Starter shall abort the start. with the Starter’s decision, a green card shall be shown to all the athletes to indicate that a false start was not committed by any athlete. 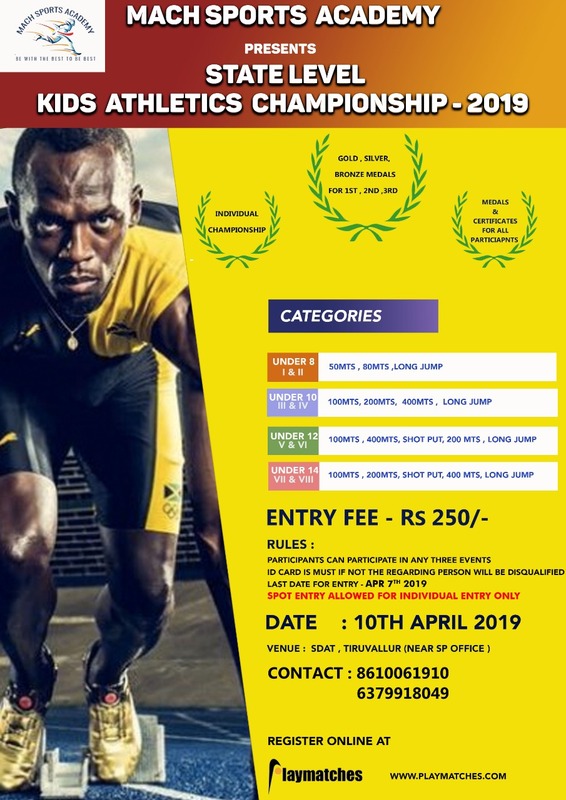 Starting blocks shall be used for all races up to and including 400m (including the first leg of the 4 × 200m, the Medley Relay and 4 × 400m) and shall not be used for any other race. When in position on the track, no part of the starting block shall overlap the start line or extend into another lane, with the exception that, provided there is no obstruction to any other athlete, the rear part of the frame may extend beyond the outer lane line. When an IAAF certified Start Information System is in use, the Starter and/or an assigned Recaller shall wear headphones in order to clearly hear the acoustic signal emitted when the System indicates a possible false start (i.e. when the reaction time is less than 0.100 second). commence his start until after receiving the report of the gun. If, in the judgement of the Starter (including under Rule 129.6), he does so any earlier, it shall be a false start. In all races run in lanes, each athlete shall keep within his allocated lane from start to finish. This shall also apply to any portion of a race run in lanes. If material advantage is gained, the athlete shall be disqualified. Note: Material advantage includes improving his position by any means, including removing himself from a “boxed” position in the race by having stepped or run inside the inside edge of the track. An athlete, after voluntarily leaving the track, shall not be allowed to continue in the race and shall be recorded as not finishing the event. Should the athlete attempt to re-enter the race, he shall be disqualified by the Referee. In Track Events of 5000m or longer, the Organisers may provide water and sponges to athletes if weather conditions warrant such provision. In Track Events longer than 10,000m, refreshments, water and sponging stations shall be provided. Refreshments may be provided either by the Organisers or the athlete and shall be placed so that they are easily accessible to, or may be put by authorised persons into the hands of, the athletes. Refreshments provided by the athletes shall be kept under the supervision of officials designated by the Organisers from the time that the refreshments are lodged by the athletes or their representatives. Those officials shall ensure that the refreshments are not altered or tampered with in any way. An athlete who receives or collects refreshment or water from a place other than the official stations, except where provided for medical reasons from or under the direction of race officials, or takes the refreshment of another athlete, should, for a first such offence, be warned by the Referee normally by showing a yellow card. For a second offence, the Referee shall disqualify the athlete, normally by showing a red card. The athlete shall then immediately leave the track. The finish of a race shall be denoted by a white line 50mm wide. Note: In the case of events finishing outside the stadium, the finish line may be up to 0.30m in width and may be of any colour contrasting distinctively with the surface of the finish area. Timing provided by a Transponder System for competitions held under Rules 230 (races not held completely in the stadium). For all races, all times not ending in zero shall be converted and recorded to the next longer whole second, e.g. 2:09:44.3 shall be recorded as 2:09:45. 3rd fastest heat winner, etc. 3rd fastest 2nd place, etc. 3rd fastest time qualifier, etc. (ii) for other events, the original performance lists shall continue to be used for seeding, modified only by improvements in performances achieved during the earlier round(s). (d) In each case, the order in which heats are to be run shall be determined by draw after the composition of the heats has been decided. (iii) another for the two lowest ranked athletes or teams to determine placings in lanes 1 and 2. Note (i): When there are fewer or more than 8 lanes, the above system with the necessary modifications should be followed. Each athlete shall go over each hurdle. Failure to do so will result in a disqualification. (b) in the opinion of the Referee, he deliberately knocks down any hurdle. The standard distances shall be: 4 × 100m, 4 × 200m,100m-200m-300m-400m Medley Relay (Medley Relay), 4 × 400m,4 × 800m, 1200m-400m-800m-1600m Distance Medley Relay (Distance Medley Relay), 4 × 1500m. A baton shall be used for all Relay Races held in the Stadium and shall be carried by hand throughout the race. The 4 × 100m race shall be run entirely in lanes. The Medley Relay race should be run in lanes for the first two legs, as well as that part of the third leg up to the nearer edge of the break line described in Rule 163.5, where athletes may leave their respective lanes (two bends in lanes). (b) in lanes for the first leg up to the nearer edge of the break line described in Rule 163.5, where athletes may leave their respective lanes (one bend in lanes). Note: Where not more than four teams are competing, it is recommended that option (b) should be used. (d) the circles or the ground within the sector with or without implements. In the Shot Put, Discus Throw and Hammer Throw, implements shall be thrown from a circle, and in the Javelin Throw, from a runway. In the case of trials made from a circle, an athlete shall commence his trial from a stationary position inside the circle. An athlete is allowed to touch the inside of the rim. In the Shot Put, he is also allowed to touch the inside of the stop board described in Rule 188.2. There is no restriction on how, or from which direction, an athlete may enter the circle. The relevant requirement is that once inside he must adopt a stationary position before commencing his trial. Provided that, in the course of a trial, the Rules relative to each throwing event have not been infringed, an athlete may interrupt a trial once started, may lay the implement down inside or outside the circle or runway and may leave the circle or runway. The inside diameter of the circle shall be 2.135m ± 0.005m in the Shot Put and the Hammer Throw and 2.50m ± 0.005m in the Discus Throw. The landing sector shall consist of cinders or grass or other suitable material on which the implement makes an imprint. Except for the Javelin Throw, the landing sector shall be marked with white lines 50mm wide at an angle of 34.92° such that the inner edge of lines, if extended, would pass through the centre of the circle. The minimum length of the runway shall be 30m except in competitions held under Rules 1.1(a), (b), (c) (e) and (f), where the minimum shall be 33.50m. Where conditions permit, the minimum length should be 36.50m. In the Javelin Throw, the landing sector shall be marked with white lines 50mm wide such that the inner edge of the lines, if , would pass through the two intersections of the inner edges of the arc, and the parallel lines marking the runway and intersect at the centre of the circle of which the arc is part (see Figure 187e). The sector angle is thus 28.96°. The landing sector shall be of an even surface soft enough to ensure that the place of the initial fall of the implement can be clearly established by the Judges. The landing surface should not allow the implement bounce backwards thus creating a risk that the measuring point is obliterated. In all horizontal jumping events, distances shall be recorded to the nearest 0.01m below the distance measured if the distance measured is not a whole centimetre. The measurement of each jump shall be made immediately after each valid trial (or after an immediate oral protest made under Rule 146.5) from the nearest break in the landing area made by any part of the body, or anything that was attached to the body at the time it made a mark, to the take-off line, or take-off line extended. The measurement shall be taken perpendicular to the take-off line or its extension. The minimum length of the runway, measured from the relevant take-off line shall be 40m and, where conditions permit, 45m. It shall have a width of 1.22m ± 0.01m and shall be marked by white lines 50mm in width. The landing area shall have a minimum width of 2.75m and a maximum width of 3m. It shall, if possible, be so placed that the middle of the runway, if extended, would coincide with the middle of the landing area. (f) he leaves the landing area in any manner other than that described in Rule 185.2. When leaving the landing area, an athlete’s first contact by foot with its border or the ground outside shall be further from the take-off line than the nearest break in the sand (which may be any mark made on overbalancing completely inside the landing area or when walking back closer to the take-off line than the initial break on landing). Note: This first contact is considered leaving. (e) he walks back through the landing area after having left the landing area in the manner described in Rule 185.2. The distance between the take-off line and the far end of the landing area shall be at least 10m. The take-off line shall be placed between 1m and 3m from the nearer end of the landing area. The Triple Jump shall consist of a hop, a step and a jump in that order. The hop shall be made so that an athlete lands first on the same foot as that from which he has taken off; in the step he shall land on the other foot, from which, subsequently, the jump is performed. It shall not be considered a failure if an athlete, while jumping, touches the ground with the “sleeping” leg. There should be a separate take-off board for men and women. The take-off line shall not be less than 13m for men and 11m for women from the nearer end of the landing area. For any other competition, this distance shall be appropriate for the level of competition. Between the take-off board and the landing area there shall, for the step and jump phases, be a take-off area of 1.22m ± 0.01m wide providing firm and uniform footing. Each athlete shall be credited with the best of all his trials, including, in the case of High Jump and Pole Vault, those achieved in resolving a tie for first place. Except for the High Jump and Pole Vault, the second best performance of the athletes having the same best performances shall determine whether there has been a tie. Then, if necessary, the third best, and so on. If the athletes are still equal following the application of this Rule 180.22, it shall be determined to be a tie. Except in Vertical Jumps, in the case of a tie for any place, including first place, the tie shall remain. Before the competition begins, the Referee or the Chief Judge shall announce to the athletes the starting height and the subsequent to which the bar will be raised at the end of each round of trials, until there is only one athlete remaining having won the competition, or there is a tie for first place. An athlete may commence jumping / vaulting at any height previously announced by the Referee or Chief Judge and may jump / vault at his own discretion at any subsequent height. Three consecutive failures, regardless of the height at which any of such failures occur, disqualify from further jumping / vaulting except in the case of a tie for first place. The effect of this Rule is that an athlete may pass his second or third trial at a particular height (after failing first or second time) and still jump / vault at a subsequent height. If an athlete passes a trial at a certain height, he may not make any subsequent trial at that height, except in the case of a jump-off for first place. In the case of the High Jump and Pole Vault, if an athlete is not present when all other athletes who are present have completed the competition, the Referee shall deem that such athlete(s) has abandoned the competition, once the period for one further trial has elapsed. Even after all the other athletes have failed, an athlete is entitled to continue jumping until he has forfeited his right to compete further. (b) the increment of the raising of the bar shall never increase. These Rules 181.4(a) and (b) shall not apply once the athletes still competing all agree to raise it to a World Record (or other record relevant to the competition) height directly. After an athlete has won the competition, the height or heights to which the bar is raised shall be decided by the athlete, in consultation with the relevant Judge or Referee. Note: This Rule does not apply for a Combined Events Competition. (a) Athletes concerned must jump at every height until a decisionis reached or until all of the athletes concerned decide not to jump further. Each athlete shall have one jump at each height. The jump-off shall start at the next height determined in accordance with Rule 181.1 after the height last cleared by the athletes concerned. (d) If no decision is reached the bar shall be raised if more than one athlete concerned were successful, or lowered if all of them failed, by 2cm for the High Jump and 5cm for the Pole Vault. (e) If an athlete is not jumping at a height he automatically forfeits any claim to a higher place. If only one other athlete then remains he is declared the winner regardless of whether he attempts that height. An athlete shall take off from one foot. (b) He touches the ground including the landing area beyond the vertical plane through the nearer edge of the crossbar, either between or outside the uprights with any part of his body, without first clearing the bar. However, if when he jumps, an athlete touches the landing area with his foot and in the opinion of the Judge, no advantage is gained, the jump for that reason shall not be considered a failure. Note: To assist in the implementation of this Rule a white line 50mm wide shall be drawn (usually by adhesive tape or similar material) between points 3m outside of each upright, the nearer edge of the line being drawn along the vertical plane through the nearer edge of the crossbar. (c) He touches the crossbar or the vertical section of the uprights when running up without jumping. For competitions under Rules 1.1(a), (b), (c), (e) and (f), the landing area shall be not smaller than 6m long x 4m wide x 0.7m high behind the vertical plane of the crossbar. Note: The uprights and landing area should also be designed so that there is a clearance of at least 0.1m between them when in use, to avoid displacement of the crossbar through a movement of the landing area causing contact with the uprights. For other competitions, the landing area should measure not less than 5m. Athletes may have the crossbar moved only in the direction of the landing area so that the edge of the crossbar nearest the athlete can be positioned at any point from that directly above the back end of the box to a point 80cm in the direction of the landing area. and this position shall be recorded. lead to the start of his time limit. Note: A line, 10mm wide and of distinguishable colour, shall be drawn at right angles to the axis of the runway, in line with the back end of the box (“zero” line). A similar line, up to 50mm wide, shall appear on the surface of the landing area and be prolonged as far as the outside edge of the uprights. The edge of the line nearer to the approaching athlete coincides with the back end of the box. (d) during the vault, he steadies or replaces the bar with his hand(s). Note (i): It is not a failure if an athlete runs outside the white lines marking the runway at any point. Note (ii) It is not a failure if the pole touches the landing mats, in the course of a trial, after properly being planted in the box. For competitions under Rules 1.1(a), (b), (c), (e) and (f), the landing area shall be not smaller than 6m long (behind the zero line and excluding the front pieces) x 6m wide x 0.8m high. The front pieces must be at least 2m long. The sides of the landing area nearest to the box shall be placed 0.10m to 0.15m from the box and shall slope away from the box at an angle of approximately 45° (see Figure 183c). The standard distances shall be: 5km, 10km, 15km, 20km, Half-Marathon, 25km, 30km, Marathon (42.195km), 100km and Road Relay. Note: It is recommended that the Road Relay race be run over the Marathon distance, ideally over a 5km loop course, with stages of 5km, 10km, 5km, 10km, 5km, 7.195km. For an U20 Road Relay, the recommended distance is a Half-Marathon with stages of 5km, 5km, 5km, 6.098km. It is recommended that similar distances be used for other International and National competitions. The course must be designed on an open or woodland area, covered as far as possible by grass, with natural obstacles, which can be used by the course designer to build a challenging and interesting race course. The area must be wide enough to accommodate not only the course but also all the necessary facilities. Outdoor: 5000m, 10km, 10,000m, 20km, 20,000m, 50km, 50,000m. 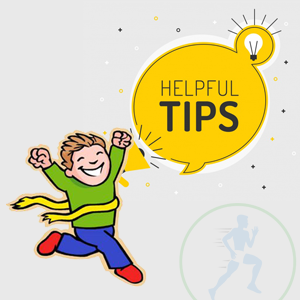 Race Walking is a progression of steps so taken that the walker makes contact with the ground, so that no visible (to the human eye) loss of contact occurs. The advancing leg must be straightened (i.e. not bent at the knee) from the moment of first contact with the ground until the vertical upright position. Long Jump; Javelin Throw; 200m; Discus Throw; and 1500m. First day: 100m; Long Jump; Shot Put; High Jump; 400m. Second day: 110m Hurdles; Discus Throw; Pole Vault; Javelin Throw; 1500m. First day: 100m; Discus Throw; Pole Vault; Javelin Throw; 400m. Second day: 100m Hurdles; Long Jump; Shot Put; High Jump;1500m.